My family was in town from Florida and New Jersey for the weekend. So what do you do? Downtown Shopping!!! 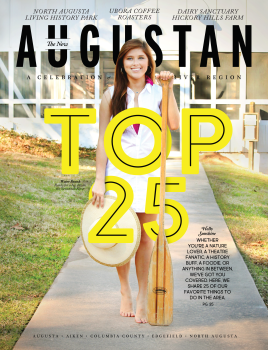 We enjoyed the afternoon on Broad Street in downtown Augusta shopping. Although none of us need furniture, we could not resist Merry’s Trash and Treasures. Almost a whole city block full of furniture – some antiques and some brand new. 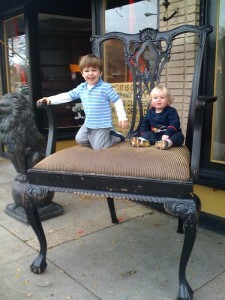 Plus one really big chair on the sidewalk – pictured with the kids. Next we made it down to Art on Broad after a block of window shopping. We checked out the artwork, pottery and sculpture. My sister bought a few small glass pieces to take back to Jersey. I need to go back and pick up a lovely ceramic olive oil container and drop off a picture to be framed. They do great framing. 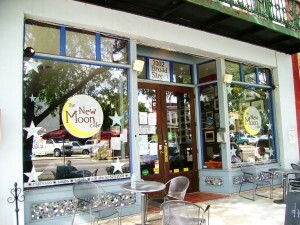 The owners, Kristen and Jim, also got an earful from my family. It&apos;s always fun to shop and talk. 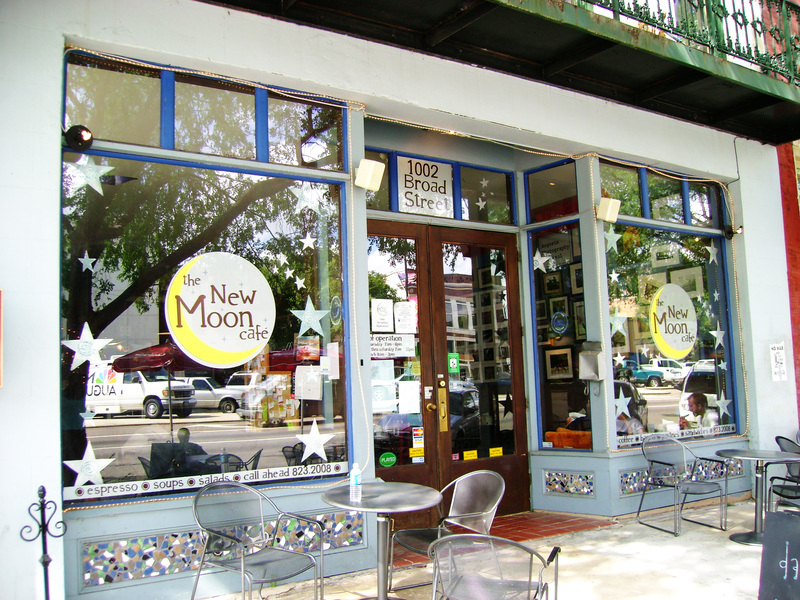 We ended the journey at New Moon Café for a coffee for the adults and grape juice for the kids. I also think I will make a return trip next week for the Basil Tomato soup – the board said it would be the soup of the day on Friday. Yum.